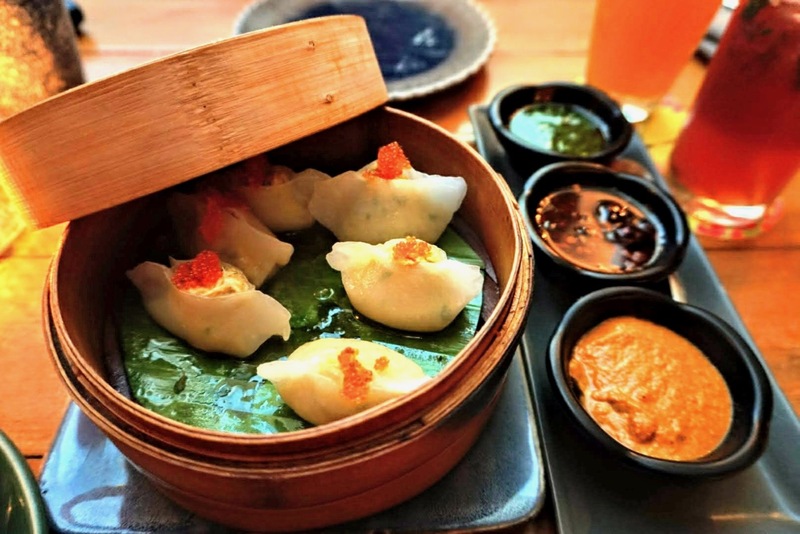 Short Version: Is Fatty Bao worth all the hype? Yes. Long Version: Braving through Bangalore traffic on what was, for all practical purposes a holiday, we landed in Fatty Bao a good 45 minutes late. Google Maps might have felt ashamed. It's 50 minute estimate actually took a good hour and a half. Thankfully though, the restaurant held our reservation, after we realised that our timings are terrible and we called to inform them. 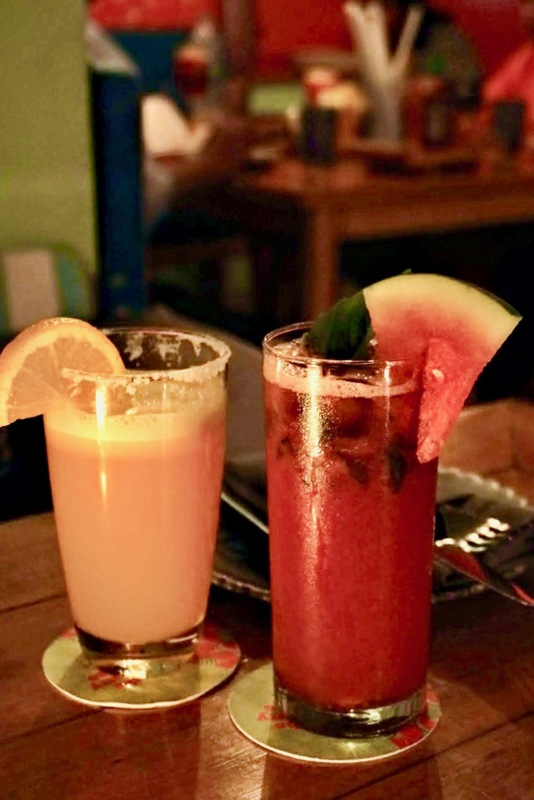 Now that we got there, we decided to follow the advice of some wise dude and got ourselves dessert first, while the chefs were busy preparing our orders. Lime Tart. 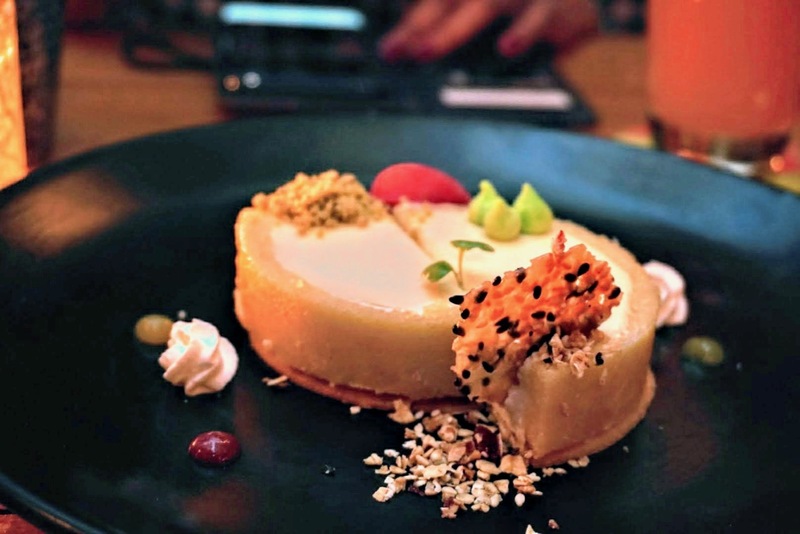 A plated lime tart. Tart indeed, it was a sweet beginning to dinner. A firm base and crust, cheesy moussy filling and some oats to add crisps, it helped cool us down from the traffic woes. Oh, the two coolers, a peach sparkler and a watermelon with basil were just the right drinks to help us wash down the dessert and get ready for dinner. And we were ready for dinner. Crab dimsums, beef bulgogi bao and ramen were all set to be destroyed in our tummies. The juicy crab dimsums weren't exactly Xiao Long Bao (soupy dimsums), but it didn't say so on the menu either, so expectations were set right. A nice curried crab flavour filling with three side sauces to choose from ensured that our share of 3 pieces each were all treated to different tastes. While one felt like coconut chutney, the chilly sauce was fabulous dip for the dimsum. 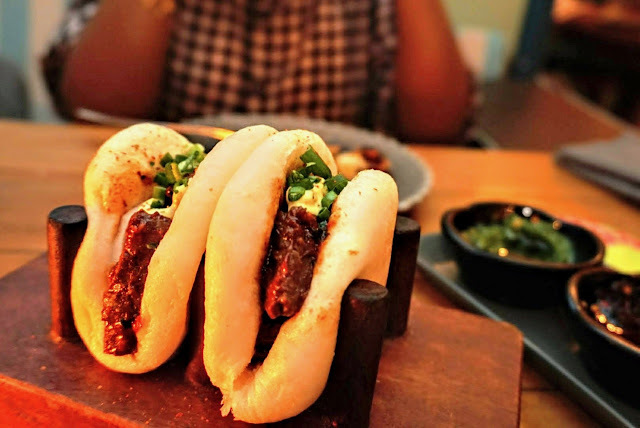 The beef bulgogi bao with soft beef filling with some cream and chives to top off had a nice Korean touch to it with its flavours. Soft bao with the right fermentation and sweetness, Fatty Bao has got it's baos right. Turns out, they've got their Ramen right too. Or so, I think. While no expert on Japanese cuisine, I love some good Ramen. This Chicken Ramen was different. This wasn't the clear Ramen broth and I don't think this has been cooked for 14-15 hours. A spicy version with nice curry, a boiled egg that wasn't overcooked and the right amount of broth, this felt Asian without leaning too much on being too much Japanese, or at least the cuisine I've been exposed to. 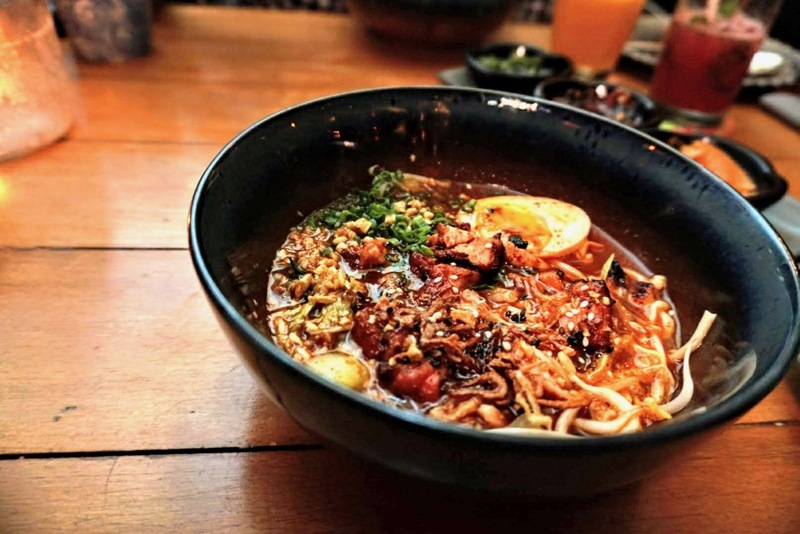 Whatever its origins or innovations, I loved the Ramen and I literally liked the bowl clean. There was no space for a second dessert. Our meal cost us about Rs. 2800. Fatty Bao is in Indra Nagar, Bangalore. The drive back at 10 PM took about 50 minutes. We spent a good 45 minutes in the restaurant and about 2.5 hours on the road. Yes, worth it.